The Charivari: What a Racket ! 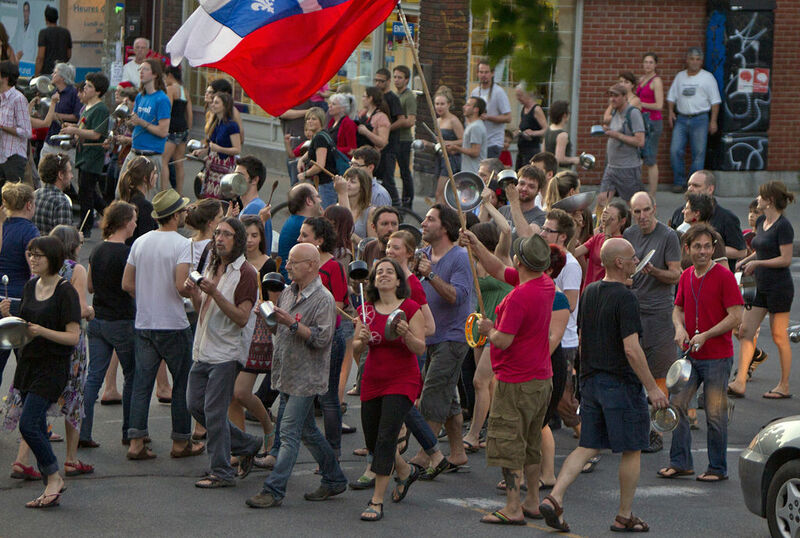 The “charivari” (an old French word meaning hullabaloo or hubbub) tradition appeared in France as early as the 11th century and in Québec at the end of the 17th. This custom was a way for the community to condemn questionable marriages. 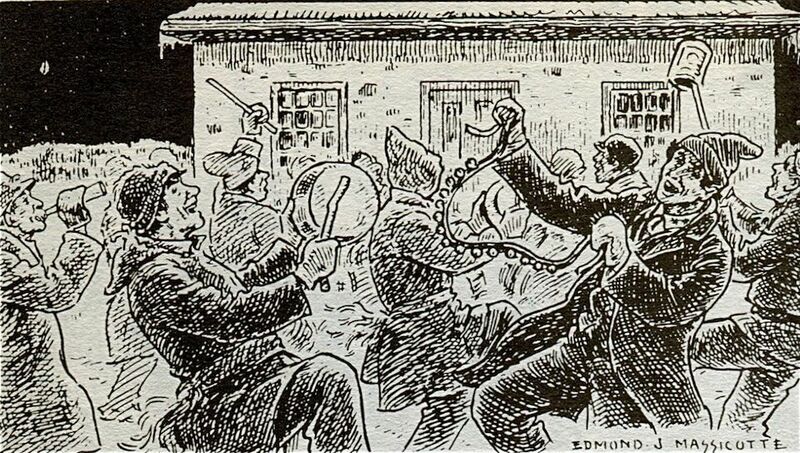 It was a form of protest that took place at night in front of the newlywed’s home, or that of the priest that celebrated their union. Young people wearing masks and costumes would make a racket using pots, pans or other kitchen utensils. Through this behaviour, they would condemn marriages that defied social conventions, when the spouses had a large age gap or came from different backgrounds, or when widowers married again before the grieving period ended. 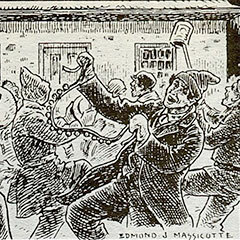 To put an end to the “charivari”, the couple at fault had to offer the rioters compensation, such as the payment of a fine or some type of penance. With time, the custom spread to other circumstances and became, by and large, a way to voice disapproval, most notably about political issues. It was used during the 1837-1838 rebellions, for example. 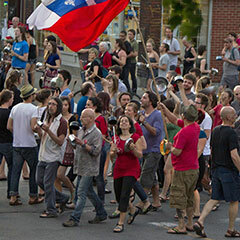 Some observers even saw a connection between this archaic practice and the student protests of spring 2013 in Québec, during which the rioters banged pots and pans.